Big banks better start looking under the couch cushions. They need to come up with $1.2 trillion to fortify themselves from the next financial meltdown. Global financial regulators Monday issued new rules that are designed to prevent a failing big bank from dragging down the entire financial system. That's what happened in 2008 when Lehman Brothers imploded, sparking the worst financial crisis since the Great Depression. 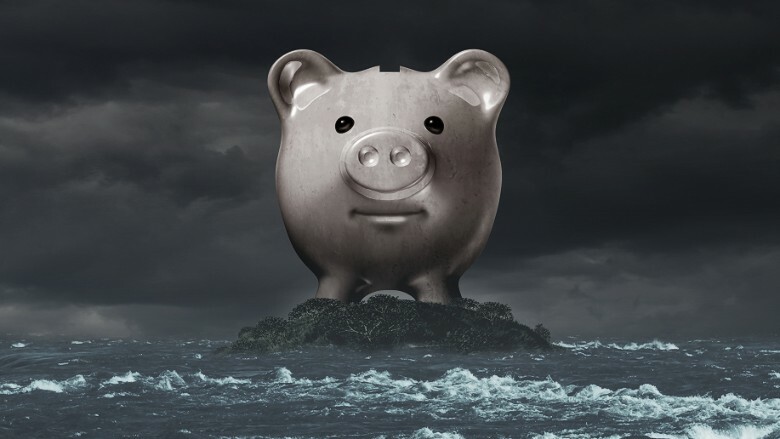 The rules call for the 30 biggest banks in the world to boost their capital cushions, the loss-absorbing cash they have to set aside for financial storms. "The idea is to make it more expensive to be big," said Christopher Baker, a credit analyst covering banks at Morningstar. These stricter requirements affect American giants like JPMorgan Chase (JPM), Citigroup (C), Bank of America (BAC)and Goldman Sachs (GS) as well as European behemoths like HSBC (HSBC) and Barclays. Wells Fargo (WFC) and JPMorgan are the U.S. banks most vulnerable to the new G20 rules, Morningstar's Baker said. He estimates Wells Fargo may need to raise up to $30 billion, while JPMorgan could need $25 billion. The Financial Stability Board, a watchdog created by the G20 after the last crisis, said total loss absorbing capacity must equal 16% of a bank's assets by 2019. That requirement then rises to 18% by 2022. Banks need to raise $1.2 trillion to meet that higher threshold, regulators estimate. The new rules are designed to ensure that failing banks can be safely wound down in a way that "minimizes impacts on financial stability, maintains the continuity of critical functions and avoids exposing public funds to loss," Bank of England Governor Mark Carney said in a statement. Carney also serves as the boss of the FSB. Carney said these benefits far outweigh potential economic costs such as slightly higher borrowing rates. Shares of banks impacted by the capital cushion requirements fell modestly on Monday amid a broad selloff on Wall Street. That's despite the fact that the rules were less strict than banks had been bracing for. To fill the gap between their current capital and the new required thresholds, banks will likely need to issue debt. The rules are designed to force banks to stop relying on the risky short-term funding that can vanish in a crisis (see: Lehman) in favor of safer, longer-duration bonds backed by the highest levels of the bank.